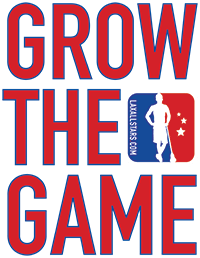 Major League Lacrosse (MLL) today announced a partnership with The Crown Lacrosse Classic, an inaugural lacrosse event hosted by the Charlotte Hounds and Southern Select Lacrosse Showcase that will be held on March 8 and 10. The Crown Lacrosse Classic is the first independent college lacrosse tournament to be held in Charlotte and will feature four of the nation’s premier programs – Cornell, Jacksonville, Penn State and Towson. The Classic will host three lacrosse teams that are preseason Top 25 selections. Fans will have an opportunity to see top MLL prospects, such as Zach Goodrich (Towson), Jack McCulloch (Cornell), and Chris Sabia (Penn State) competing in this round-robin event. In addition to bringing high-level lacrosse to Charlotte, a portion of the proceeds and in-game fundraising events will benefit the first responders of the Carolinas. Fans can get more info about the Crown Lacrosse Classic or tickets to the game at www.thecrownlacrosse.com/. Major League Lacrosse (MLL), the premier professional outdoor lacrosse league, was founded by Jake Steinfeld and is headquartered in Boston, Massachusetts. Major League Lacrosse commenced play in June of 2001 and will enter its fifteenth season in 2015. MLL has continued to lead the sport of lacrosse into the mainstream of competitive team sports. The league is made up of eight teams: The Boston Cannons, Charlotte Hounds, Chesapeake Bayhawks, Denver Outlaws, Florida Launch, New York Lizards, Ohio Machine and Rochester Rattlers.